How can you counteract an information war? Hromadske Radio, Public Radio Ukraine, decided to provide accurate and objective information to audiences – free of state and corporate censorship and any kind of manipulation. 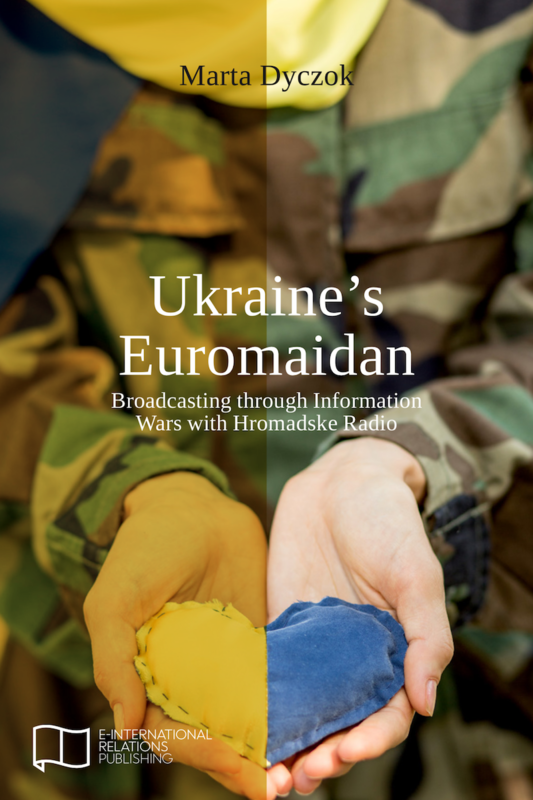 This book, by Marta Dyczok, brings together a series of English language reports on the Ukraine crisis first broadcast on Hromadske Radio between 3 February 2014 and 7 August 2015. Collected and transcribed here, they offer a kaleidoscopic chronicle of events in Ukraine. Bookending the reports, purpose written introduction and conclusion sections contextualize the independent radio project within the larger picture of Ukraine’s media and political developments – both before the Euromaidan and in its dramatic aftermath. Marta Dyczok is Associate Professor at the Departments of History and Political Science, Western University, Fellow at the University of Toronto’s Centre for European, Russian, and Eurasian Studies (CERES), Munk School of Global Affairs, Adjunct Professor at the National University of the Kyiv Mohyla Academy. She was a Shklar Research Fellow at the Harvard Ukrainian Research Institute (2011) and a Fellow at the Woodrow Wilson Center for International Scholars in Washington DC (2005-2006). Her latest book is Ukraine’s Euromaidan. Previous books include: Media, Democracy and Freedom. The Post Communist Experience (co-edited with Oxana Gaman-Golutvina, 2009), The Grand Alliance and Ukrainian Refugees (2000), and Ukraine: Change Without Movement, Movement Without Change (2000). Her doctorate is from Oxford University and she researches media, memory, migration, and history.